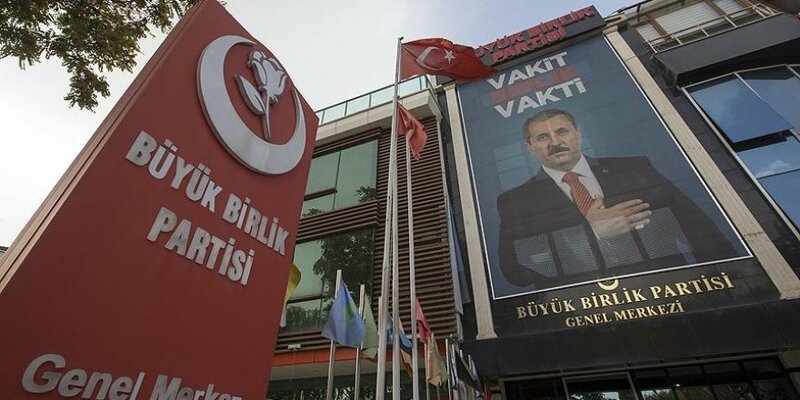 The leader of Turkey’s opposition Grand Unity Party (BBP) said on Wednesday that he wants the People’s Alliance of parties to continue with the March 2019 local elections. The alliance -- formed early this year, ahead of June general elections -- includes the ruling Justice and Development (AK) Party and opposition Nationalist Movement Party (MHP) as well as the much smaller BBP. On Oct. 23, however, the MHP said it would not be part of the alliance for next year’s local elections, though it would continue it in parliament. Mustafa Destici, the BBP’s leader and sole deputy in parliament, seemed to point to an informal alliance at next year's polls. "I think that voters will make an alliance at the ballot box even if the parties don't make any official announcement," he told reporters in parliament. "Especially in eastern and southeastern provinces where the [terrorist] PKK has influence, the BBP will support those who are close to winning against the PKK," he said. The PKK is banned, but the Peoples' Democratic Party (HDP) has been accused of being close to the terror group.